For this client, a classic 1950s secondary school, they had a disused outside courtyard space which they wanted to open up and make use of. 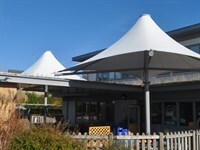 The school were keen to encourage more dining and they required a structure that would allow for that in all weathers. 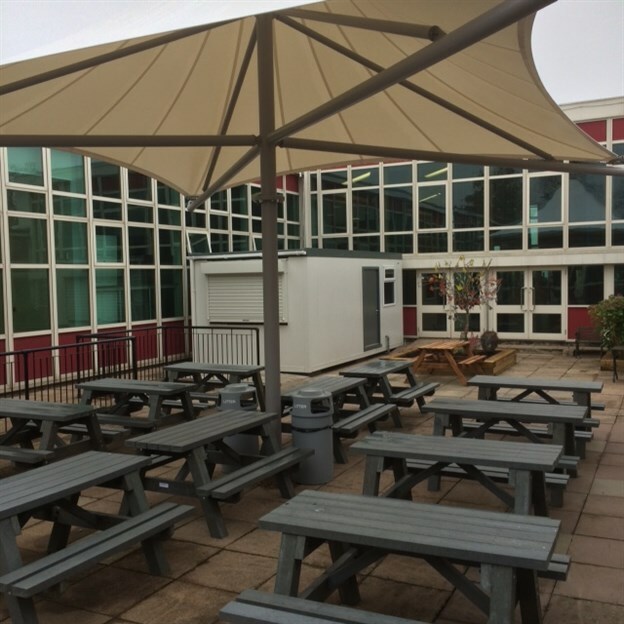 Our 7m x 7m Corona canopy was made using a white PVC coated fabric and mid grey steel framework and installed with minimum disruption over a two day period. 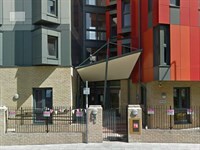 The structure came into the courtyard in sections through a normal single door. 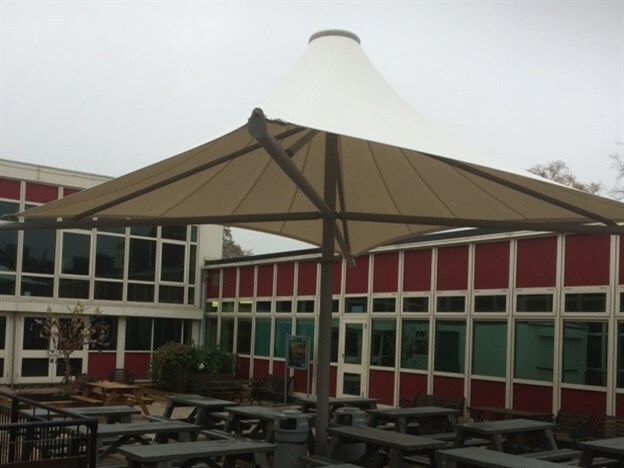 The school is delighted with its new outdoor dining space – the pupils and staff are able to eat outside whatever the weather. At the same time they installed a food servery pod in the corner of the courtyard. The Corona forms part of our exterior product range and is ideal for spaces where multiple legs are not possible (such as outdoor courtyards like this one) as it only requires a single column. It comes in a range of sizes from 2m x 2m up to 10m x 10m.